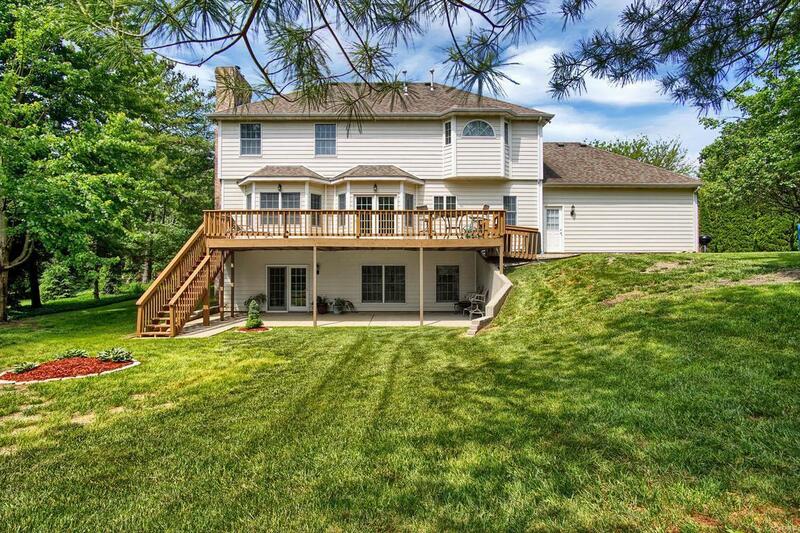 Feel at home in this classic two story with walk out lower level. Hardwood floors greet you in the foyer with views into the office or dining room. Updated eat in kitchen with center island and living room that overlook the large deck with new deck boards, railings and complete set of stairs and fresh coat of top of the line Bear Deck Over stain for years of maintenance free enjoyment. Mud room/laundry on main keep everything organized and in its place. The upstairs features a great layout with large master bedroom and spa like bath on one side and three additional bedrooms and bath. 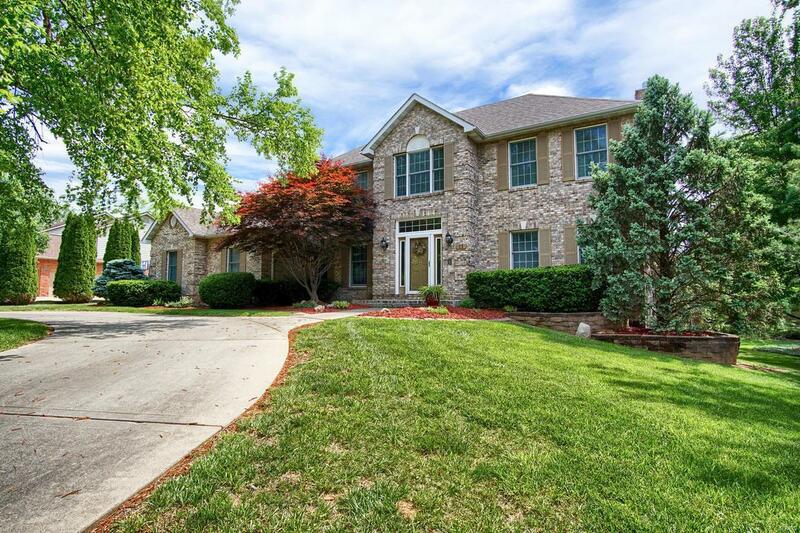 Lower level has great family room with fireplace, large fifth bedroom and full bath. Plenty of storage in basement for seasonal items or as a work room. 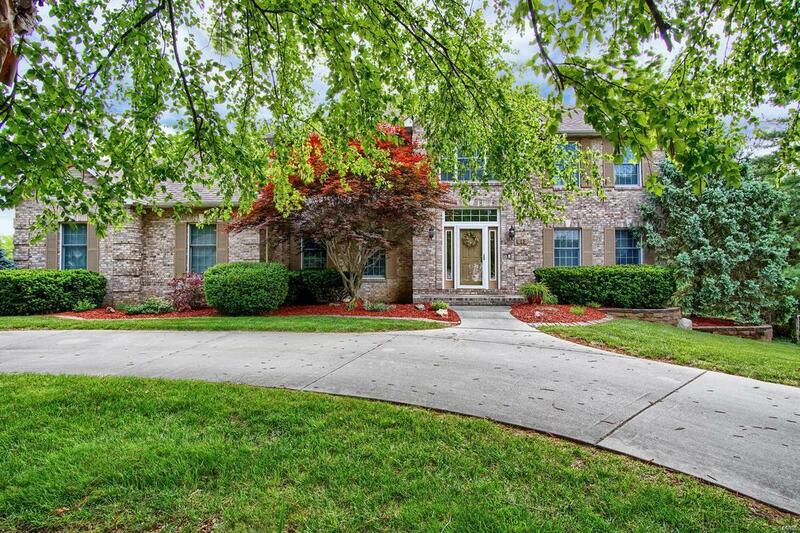 Three car side load garage, sprinkler system, and covered patio off lower level make this home ideal inside and out. 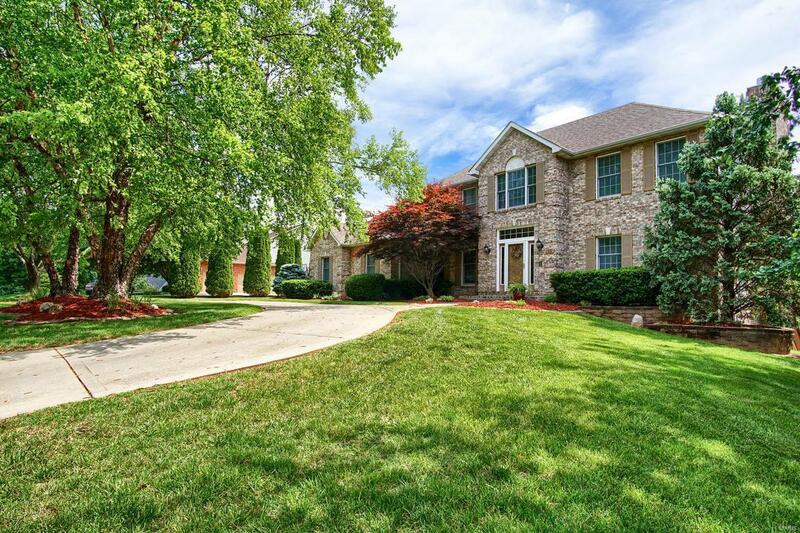 Great location for golf, trail access, interstates, schools and shopping. Rest easy with a ONE YEAR HOME WARRANTY PROVIDED TO BUYER.